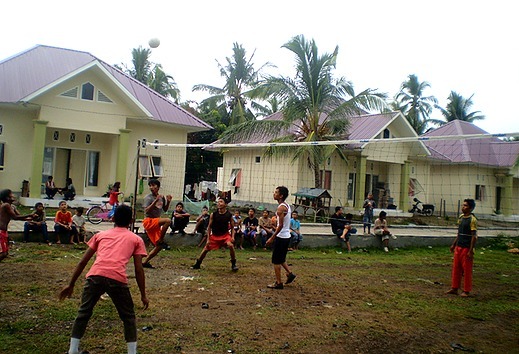 The Childrens Care Centre set up by Youth Off The Streets Overseas Relief Fund and Muhammadiyah, was established in Banda Aceh to assist unattached or seperated children after the 2004 Tsunami. The new and permanent site was officially opened on the 15th of March 2009. Officiating at the opening ceremony was Australia’s Ambassador to Indonesia, Mr Bill Farmer, the Vice-Governor of Aceh, Mr Muhamad Nazar, the Chairman of Muhammadiyah Dr Sudibyo Markus, Father Chris Riley (CEO) and Tony Stewart MP (Chairman) of Youth Off The Streets Overseas Relief Fund.